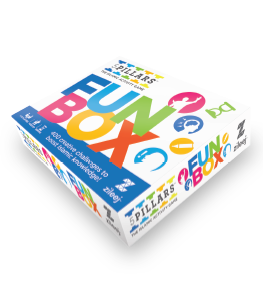 Increase your knowledge of Islam while having loads of fun with your family and friends. Work together in order to build the pillars of Iman, Salah, Zakah, Sawm and Hajj. Conquer all pillars at five difficulty levels before the other team to win! References from the Quran and Hadith are given so you learn more about Islam with every flip of the card. 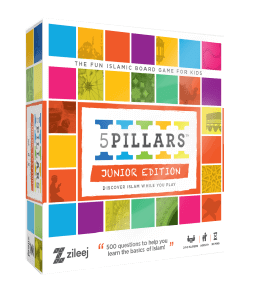 Play for a couple minutes or all night long, but for the best learning experience don’t stop until you have conquered all the pillars of Islam. 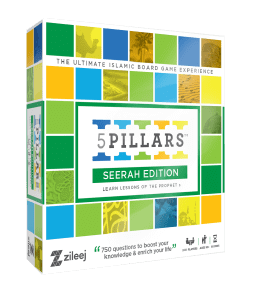 This is the Ultimate Islamic Board Game Experience cherished and loved by families around the world. knowledge & enrich your life!